Almost every single Motorola device that is coming in next few months has leaked out, and the list includes Moto C, C Plus, E4, E4 Plus and Z2F. 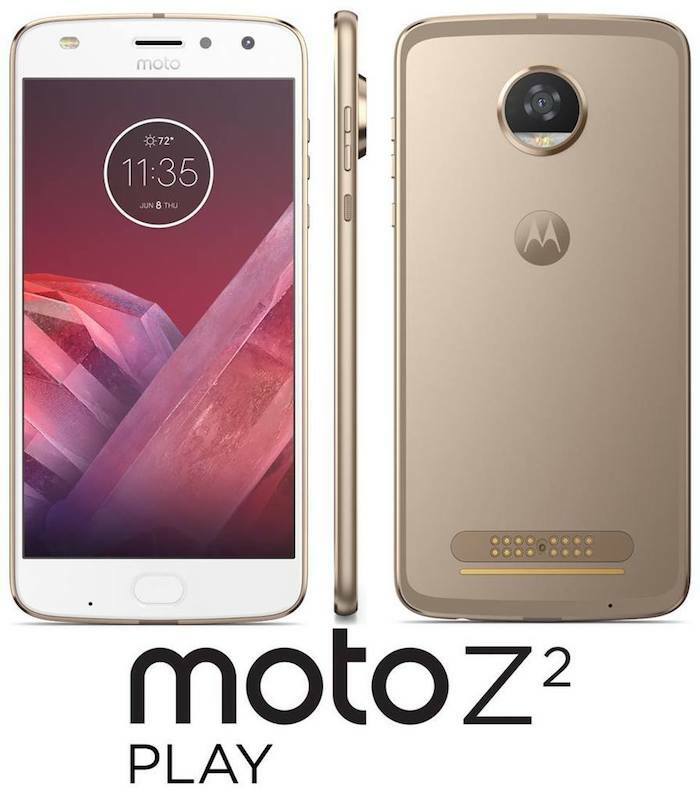 Today, we have got the official press render of the Moto Z2 Play that will be the successor of Moto Z Play of last year. Technobuffalo posted this press render of the device that gives us first look at it. There aren’t a lot of significant changes made regarding design, but some design elements have been improved that users didn’t like on the Moto Z Play of 2016. First of all, that odd and ugly looking square-shaped fingerprint scanner has been replaced by the oval-shaped one that we saw first on the Moto G5 and G5 Plus. It matches the curvy design of the device and hence doesn’t look odd as it did on the Z Play. It is now not only a fingerprint scanner but also a home button with gesture support for recent apps and back option. The phone is pretty slim and has that camera bump, just like its smaller brother of last year. Just like last year’s Z Play, the Moto Z2 Play has got the front-facing flash and the pins on the back side for Moto mods. Rest of the design is the same and that’s why we mentioned at the beginning of the article that the Z2 Play hasn’t got any significant changes regarding the design. The specs aren’t known yet, but they won’t be much different than previous year’s Moto Z Play. Talking about the launch date, the press renders shows the date of June 8th on the screen that could be the date of official launch so comparing it with the launch date of last year’s Moto Z Play, it seems like the company has planned to launch the Z2 Play a bit early.